One look at the playing surface of California House’s Newport shuffleboard table, and you’ll be enchanted by its clean transitional design and delightfully wavy, twisting legs. 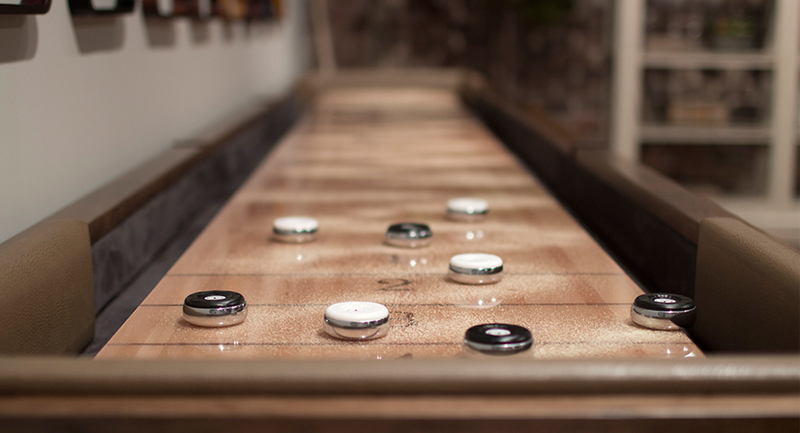 California House’s shuffleboard tables are made with original designs, showing their care for customers’ unique tastes and satisfaction. The well-manicured edges, finely cut with precision make for a truly handsome table. The Newport shuffleboard’s glossy surface is made to impress the viewer, who looks admiringly at the California House logo in the middle. The 12 footers are the next size up from the 9’ Newport shuffleboards. They still have some of the great qualities as their smaller cousins, being more compact than longer tables, and providing gameplay that’s a little more technique-based. In finished wood of sensual cherry maple, refined old English oak, and many other exquisite choices your table will not only be strong, it’ll be a bona fide craftsman’s masterpiece. Send a thanks to the tailor too, as your table can be customized with colored cloth in tones like Tribeca Buff, Bossanova Moonlight, and Timeless Danube. 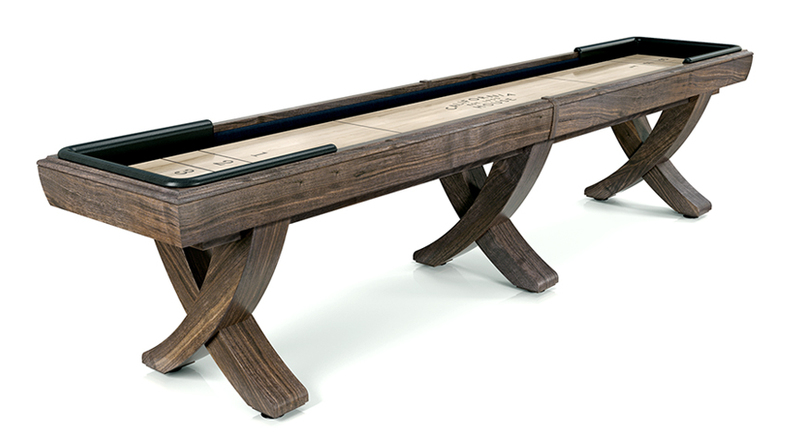 The Newport has a solid 2.25″ thick tongue, and grooved beech wood play field with inlaid black walnut scoring areas. All quality-made in the USA.